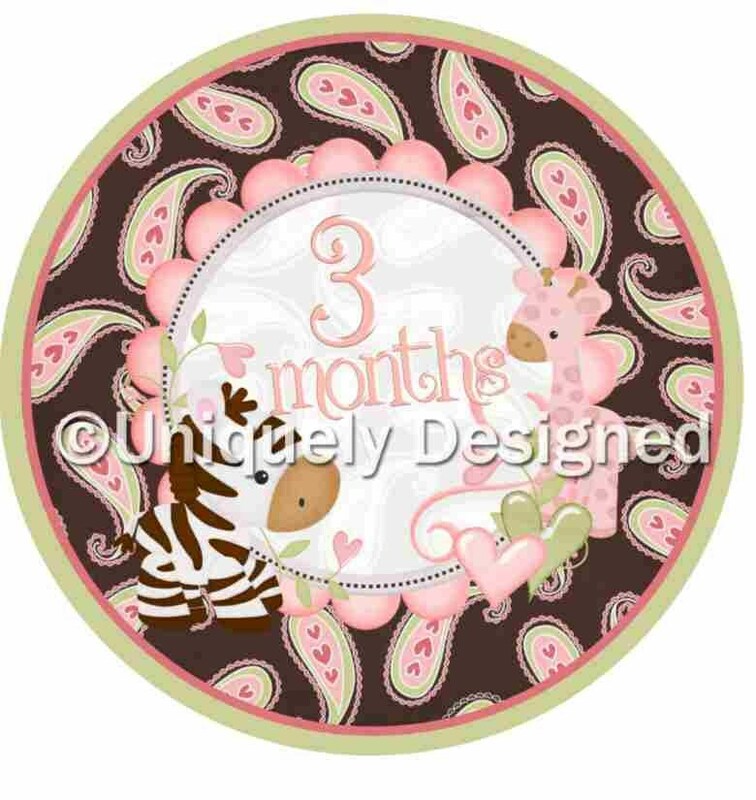 Month Stickers that are sure to please any new mother! 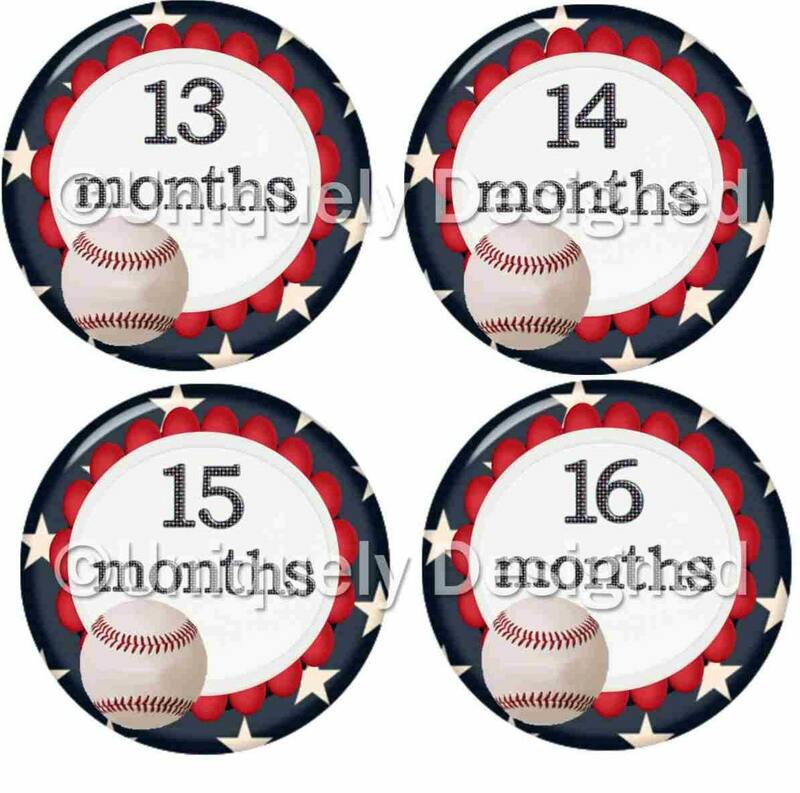 If you have a theme or want it personalized, we do that! 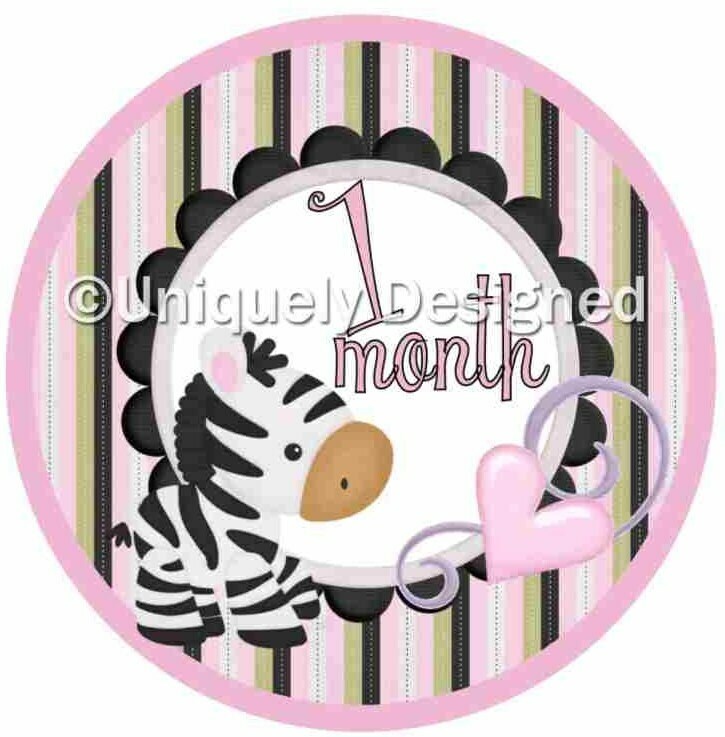 Make your month stickers extra special! Your child is still growing before your eyes and its hard to keep track of time. 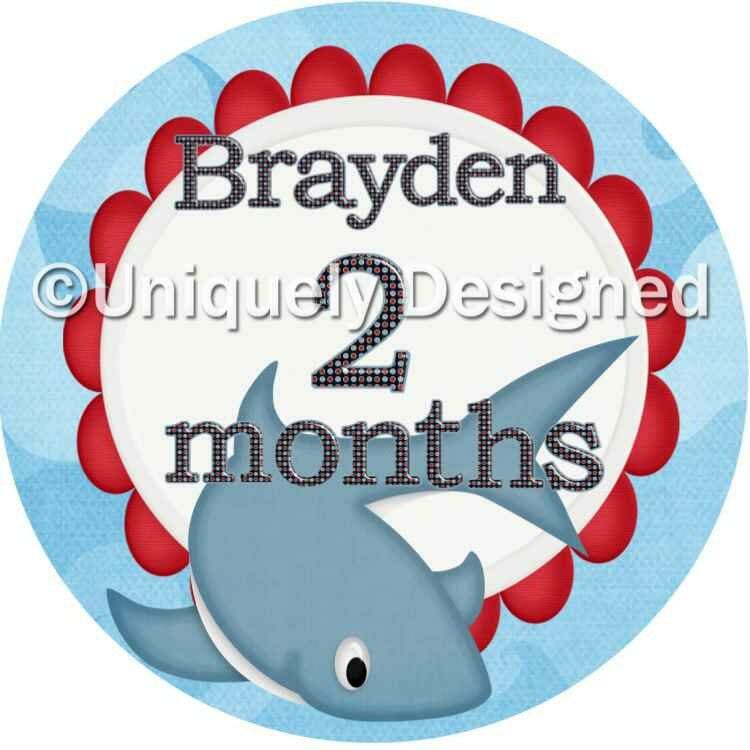 Each month put a sticker on your child's shirt, onsie or bib. Take a picture and remember what they looked like at that age. 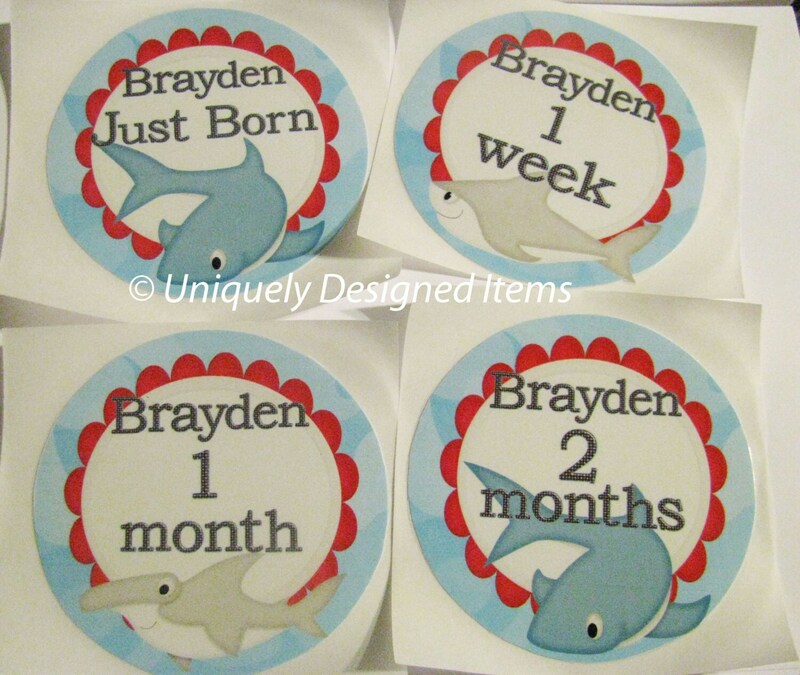 Contains laminated stickers for New Born and months 1-12 (13 stickers in total). Great for the scrapbook after you use them. Ships to other countries now, please convo me if your country isn't listed. First class shipping. Please request an upgrade to priority if you need it. You can have name on the stickers or the ones without names. Please convo me to add the second year set for very little extra shipping!